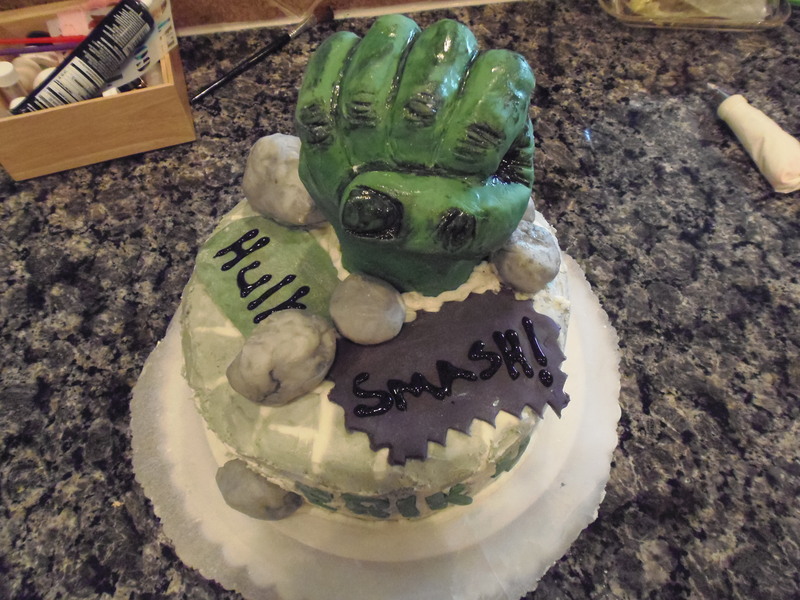 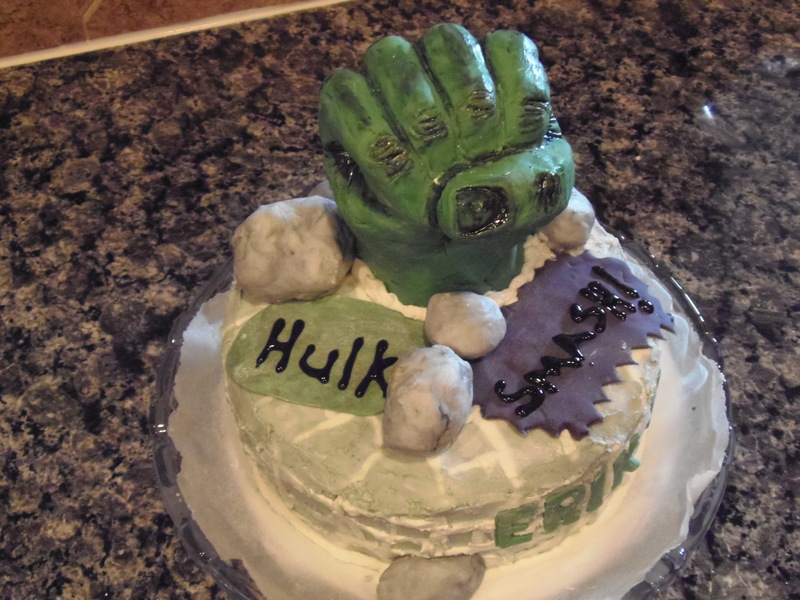 I just finished assembly the hulk cake for my son’s b-day and I think a came about pretty decent considering the my children were screaming like crazy people all morning and I could not get a grip of my nerves. 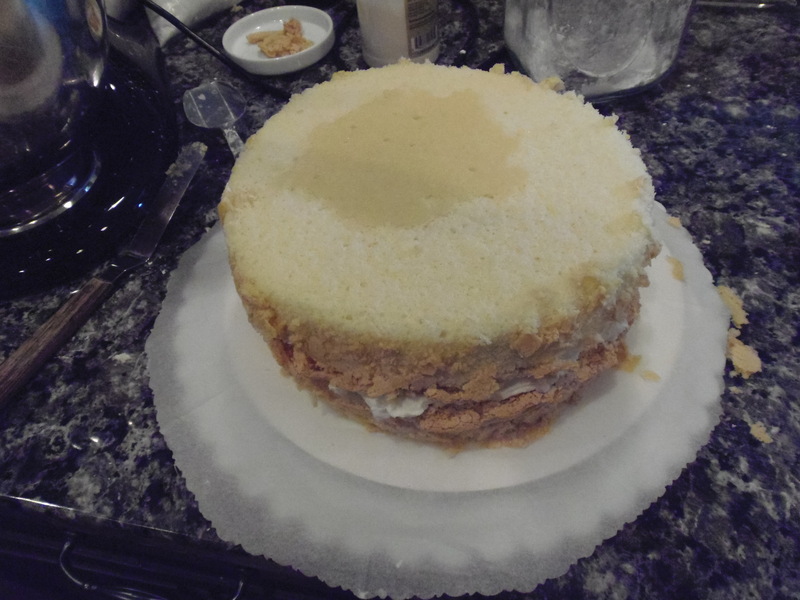 This cake resembles an Italian Lady finger, flavor and texture wise. 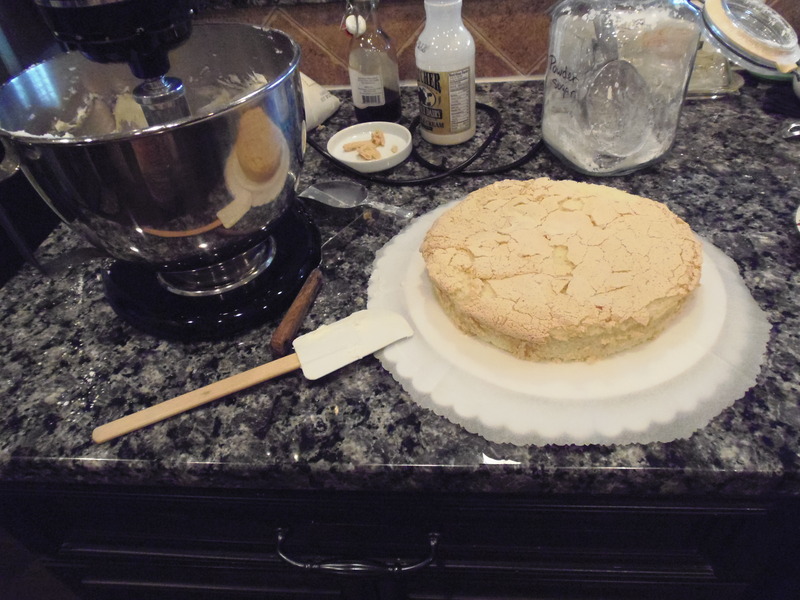 I used five eggs and they weighed at around 300g so I weighed out same amounts for the flour and sugar (this made two 9″ round cakes. 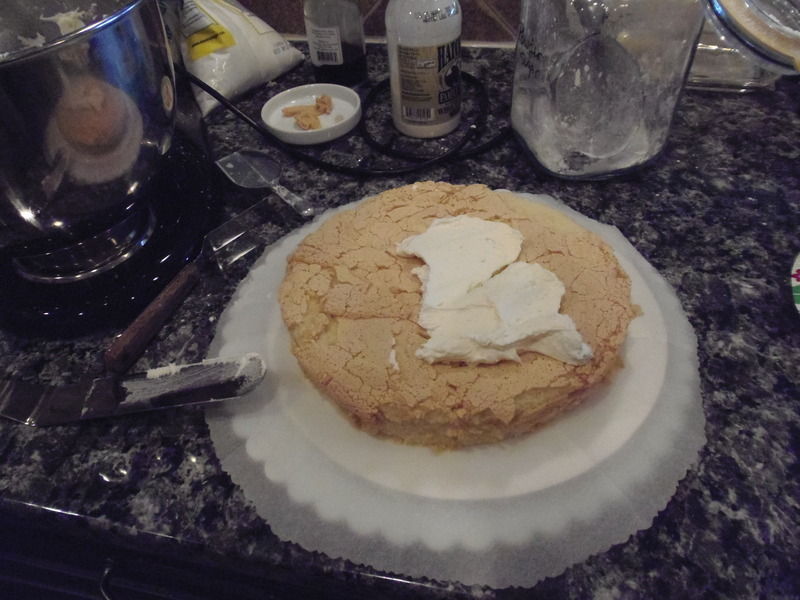 Beat eggs with sugar really good – till very pale yellow almost white in color and fluffy. 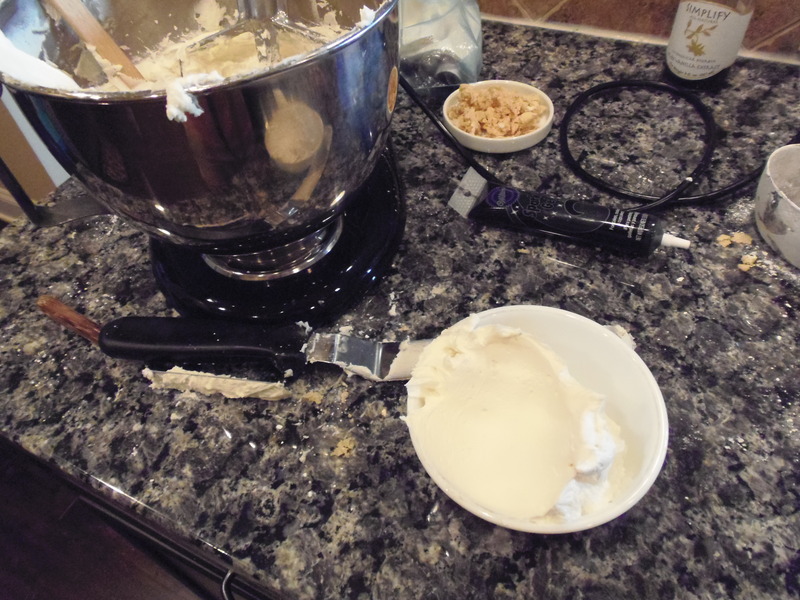 Add sifted flour and fold by hand. 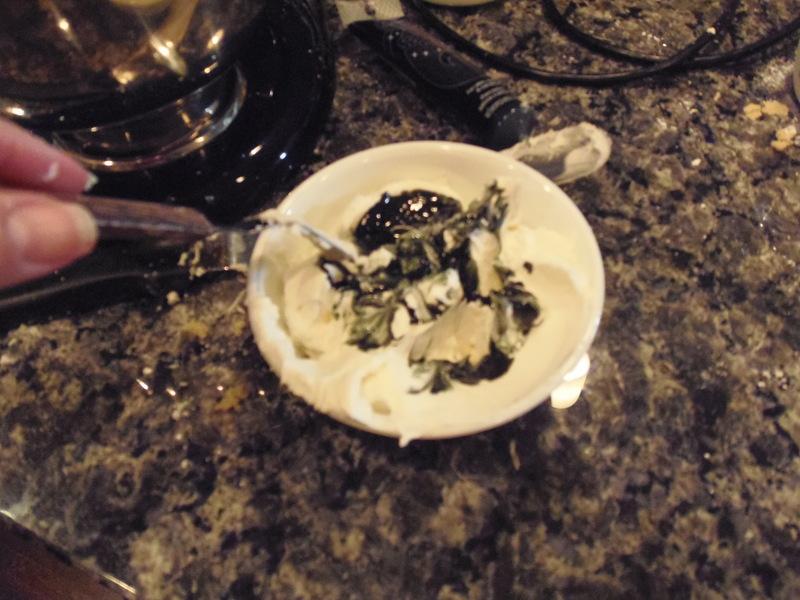 bake 338 degree F or 170 degree C for about 25-35 -or until a toothpick comes out clean. 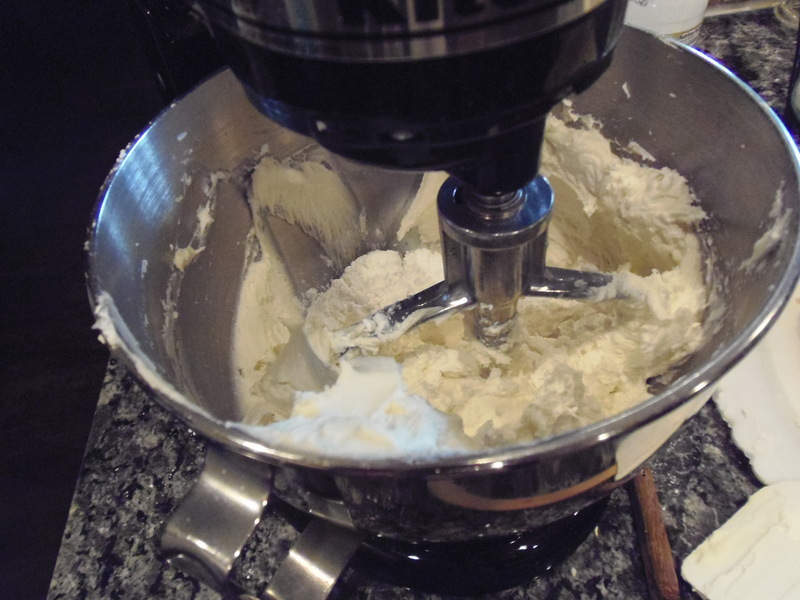 Heavy cream 2 – 5 tablespoons or more…- depending on the consistency that you like to work with. 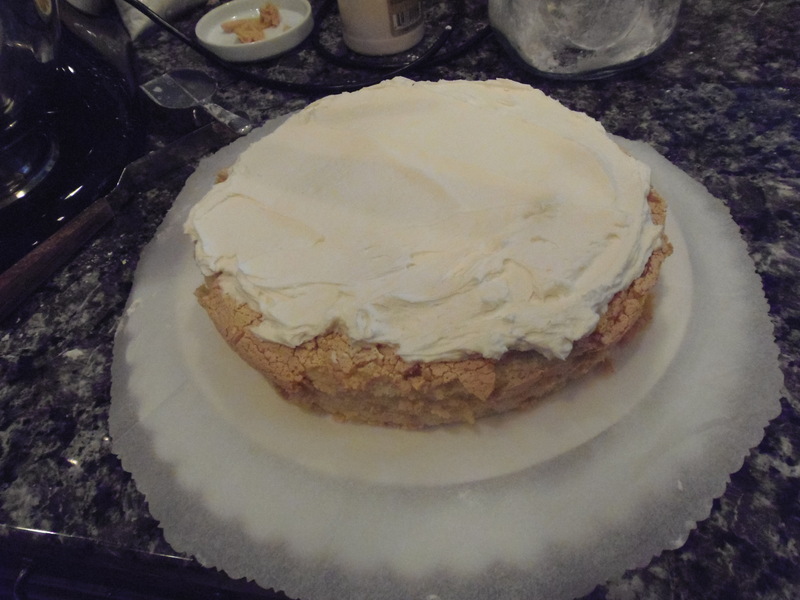 First layer ready for butter cream, this will be the crumb coat. 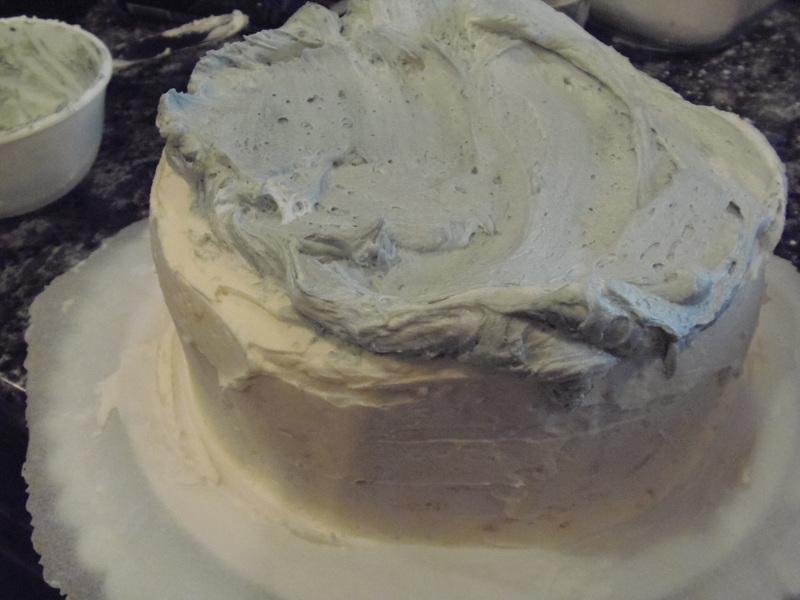 frost first layer – add a good amount. 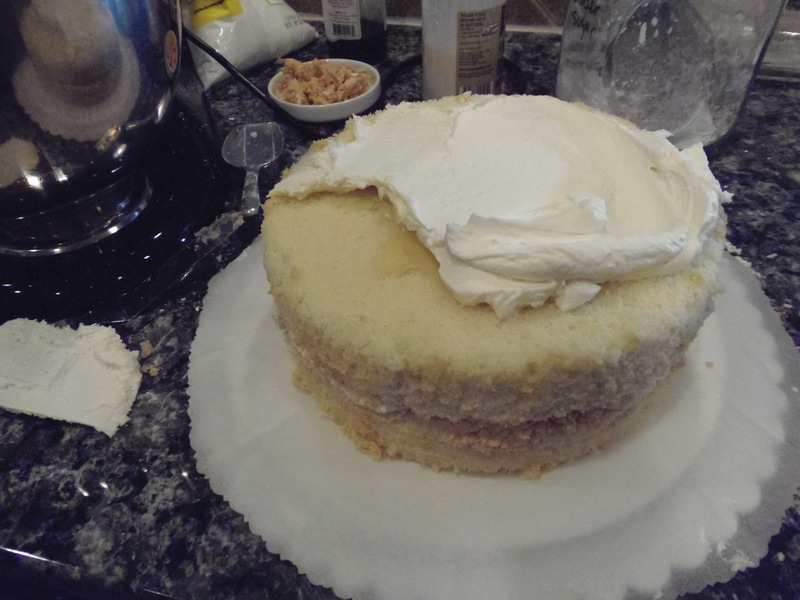 Add next layer of the cake, clean the sides with a serrated knife and begin to add the frosting. 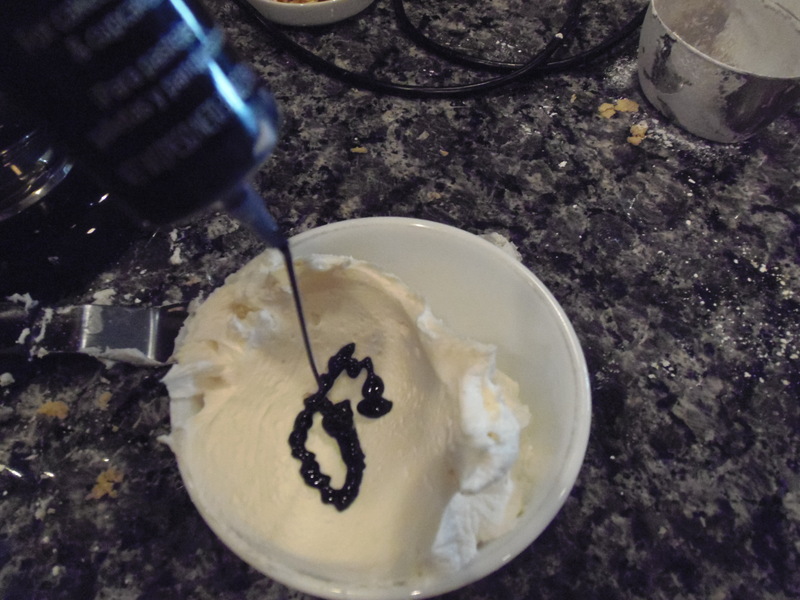 Again don’t be stingy, you can always remove and smooth once it is covered. 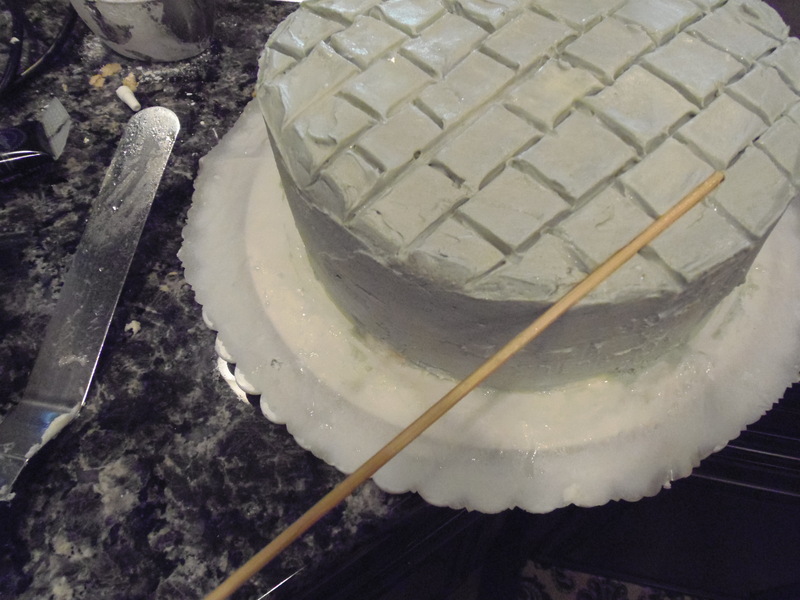 Dip off-set spatula in warm water to smooth the frosting, place cake in freezer for 10 minutes until it hardens a little and begin to add color to some of the frosting. 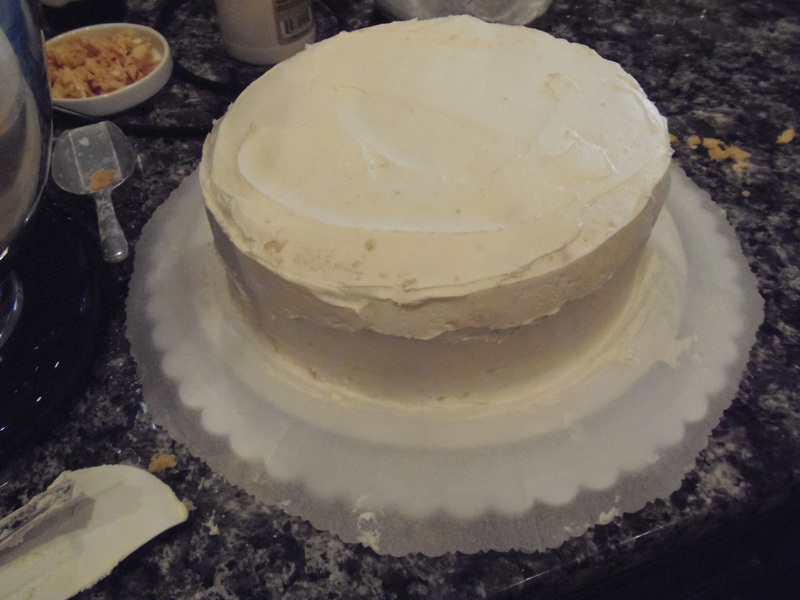 This will be the final coat once color and decorated. 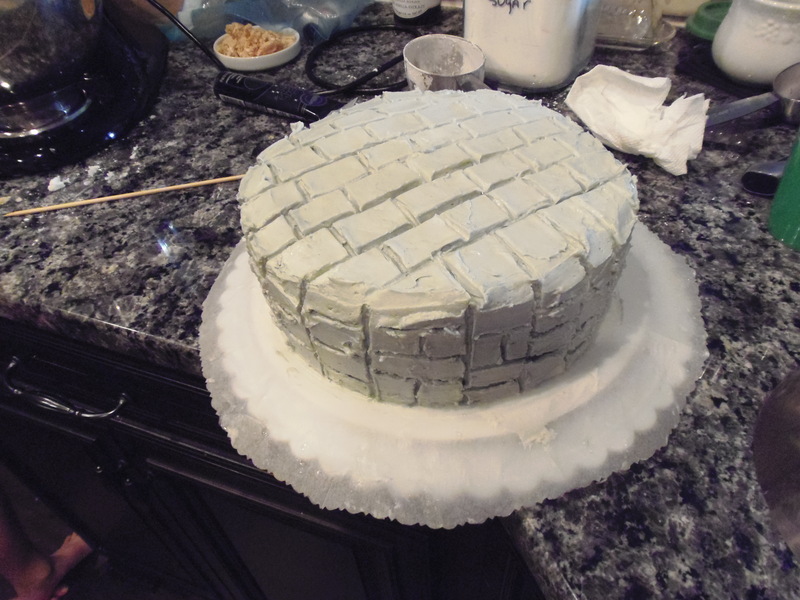 I wanted to have a concrete block look to it so I used a bamboo skewer to create the grooves. 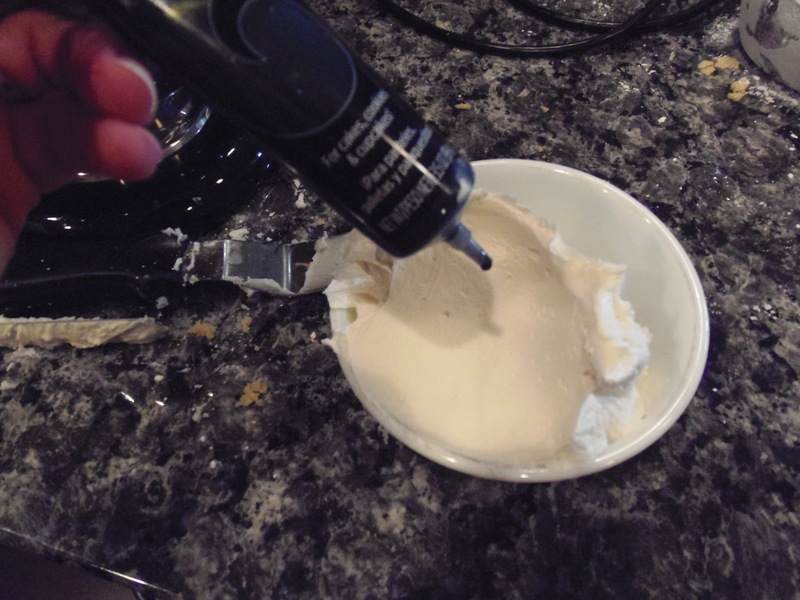 I white frosting to the grooves to simulate mortar and smooth it out a little. 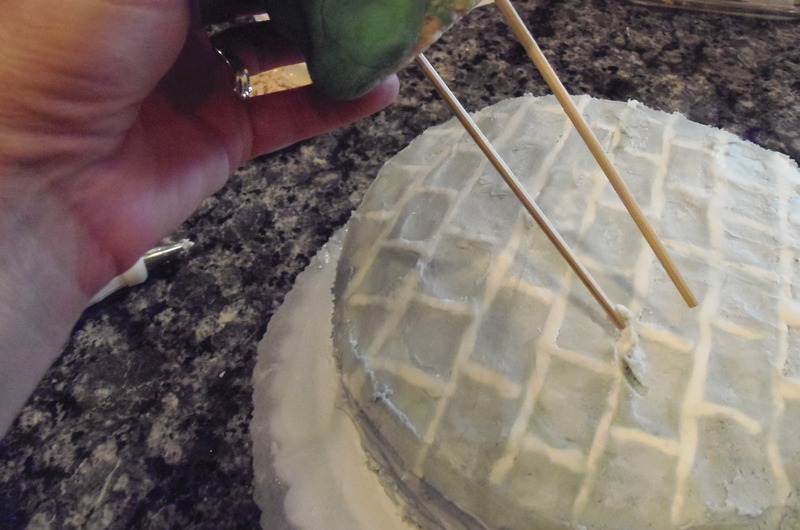 Inserted bamboo skewers to the bottom of rice crispy treat hand. 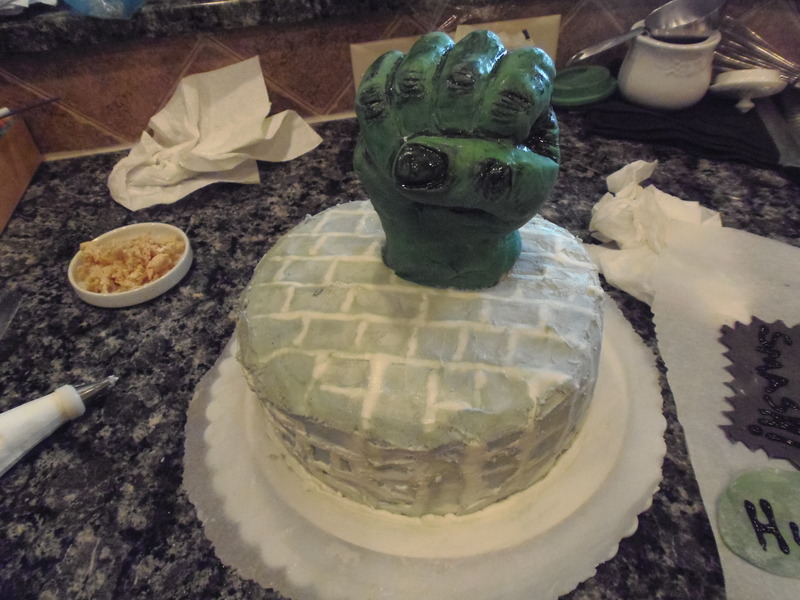 Added all the fondant décor and there you have it.